The wait is over as Microsoft has finally released they’re all in one PC as an alternative solution and competitor for Apple Company’s PC iMac. Before the release of Surface Studio, there was no competitor of iMac. But does Microsoft had put enough specifications and features in their latest All in One PC so that they can compete with iMac. Let’s check it out in detail as this article is all about Microsoft Surface Studio. The design of the PC is slim and stylish. Microsoft had done well to make it look like a modern world machine by making its screen super slim and rather than putting all different components at the back of the display. They had put all the components in the base of the machine. The thickness of the screen is 12.5 mm which makes it look like a tablet and not like a normal monitor of the personal computer. There is a touch screen in Surface Studio whereas in iMac there is no touchscreen functionality available. The body of the PC is full aluminum along with metal bars at the bottom to join the bass with the screen. You can tilt the screen totally to make it look and work like a tablet for you. The display resolution of Surface Studio is slightly lower as compared with iMac display resolution. There is 28 inches touchscreen panel having a pixel density of 192 pixels per inch. You also have a pen named as “Studio Pen” which you can use while using Microsoft Surface and your PC will turn into a big screen tablet. But when we compare them with competitor’s iMac. They have full HD resolution display and having higher pixel density than Studio. Let’s talk about what you will get inside the Microsoft Studio machine. There will be Intel processor Core i5 along with 8 gigabytes of RAM. For storage, there is 1TB available for storing your files and important stuff. All these specs will be available for $3000. But on the other hand, iMac having Intel i7 processor along with 32 gigabytes of RAM is available for $3149. There is 2TB storage drive too. All these specifications are much better than the specifications available in Surface Studio. So, the pricing is on the higher side. When we talk about the software being used in the machine. Let me tell you that you will have Windows 10 Pro operating system on Studio. It is a long debate that which OS is better for users Mac OS or Win OS. It’s totally dependent on your choice and preference. Because both operating systems provide some great features. The last but not the least thing to mention is that what will be included in the box. You will get a Microsoft Surface Studio machine along with a pen called “Surface Pen”. You can use this pen to draw something on the screen. There are mouse and keyboard also included within the package. 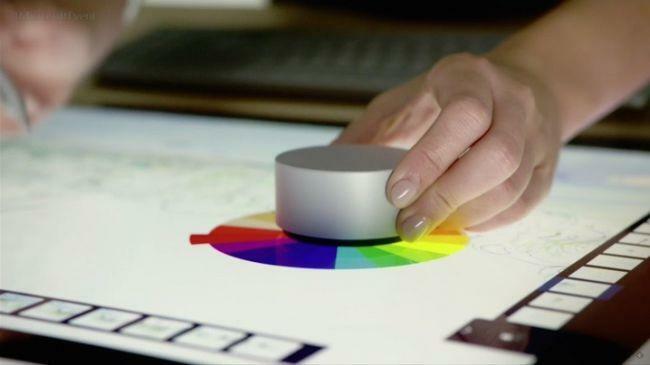 If you are interested, then you can buy Surface Dial for another $99 extra. Apple iPhone 7 Plus Review	Why Should You Buy New MacBook Pro 2016?